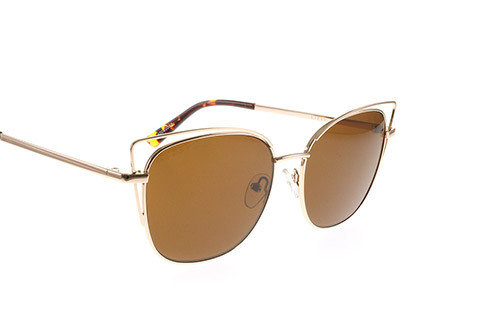 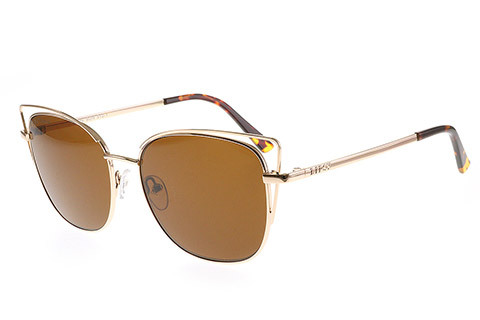 Lipsy Sun 512-1 sunglasses are the perfect pair of stylish shades that evoke effortless glamour. 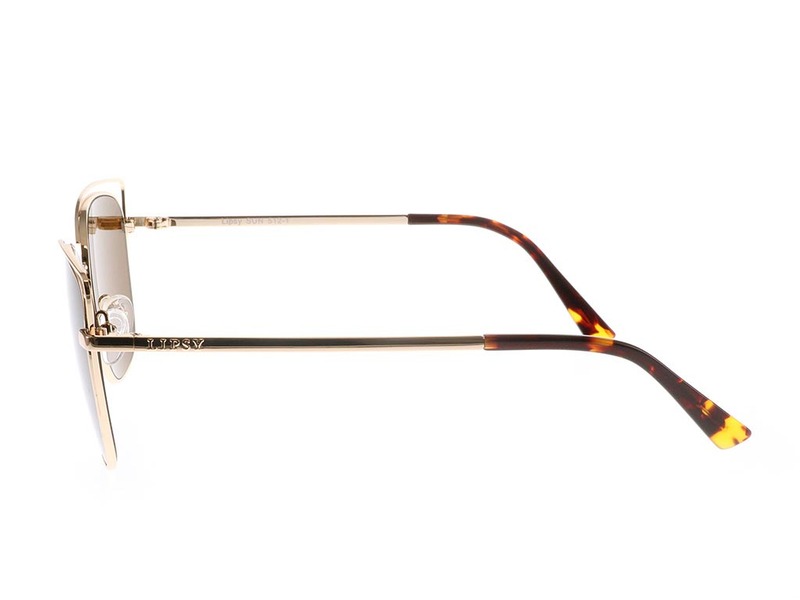 The gold metal cat eye frames feature a double layer and the bold silhouette will perfectly compliment all face shapes. 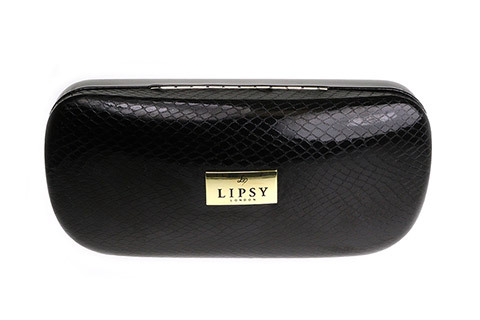 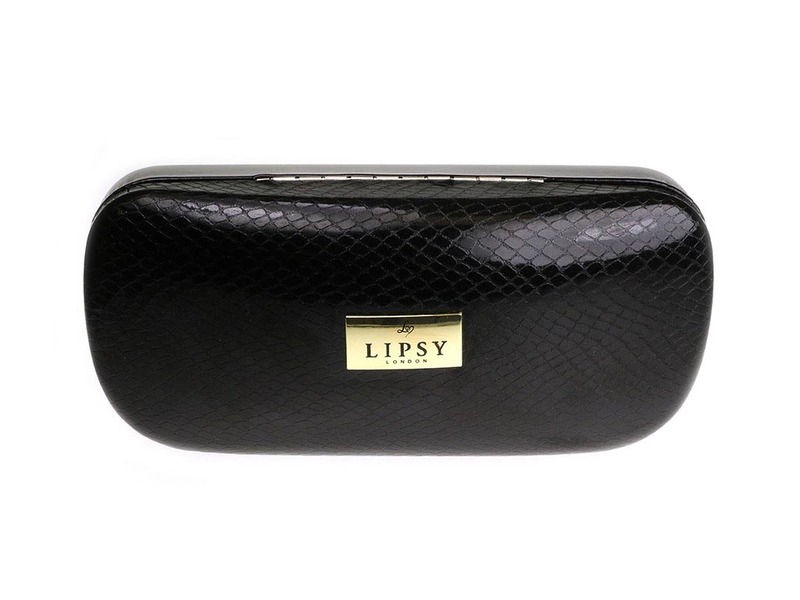 The sunglasses temples are adorned with the Lipsy name logo as a mark of authenticity. Brown tortoise temple tips add a touch of colour texture and offer added comfort whilst wearing. 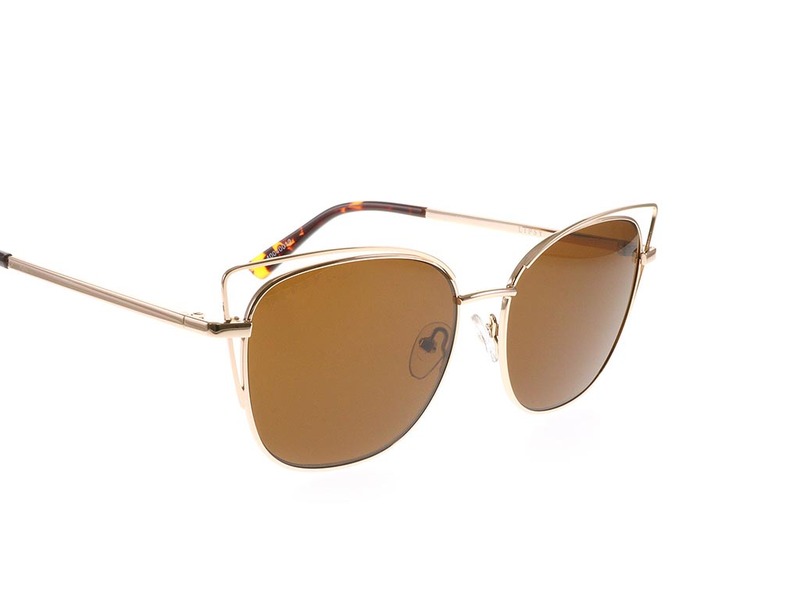 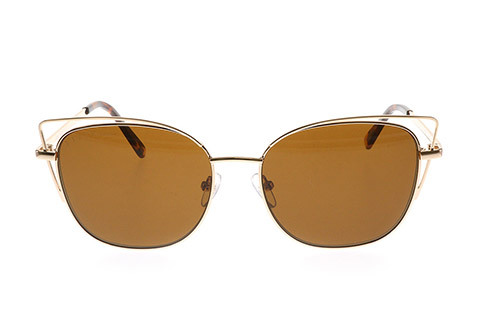 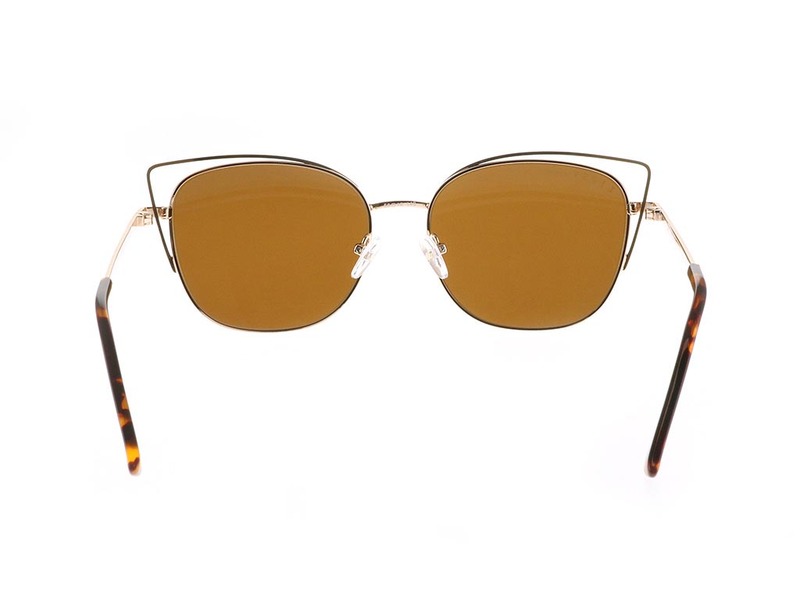 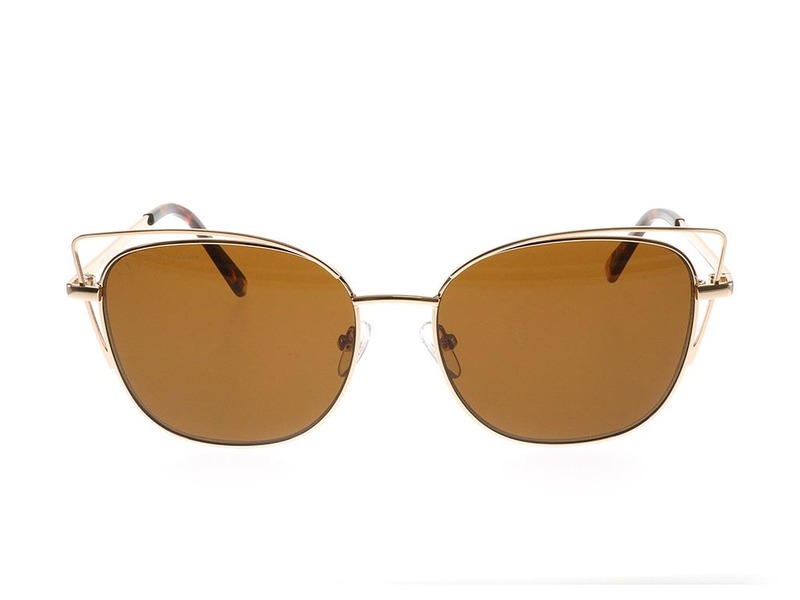 The dark brown deeply tinted lenses feature UV protection against the sun and add a touch of mystery across the eyes. 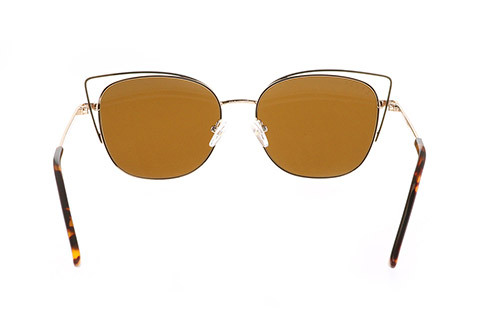 As a welcome gift from Feel Good Contacts, enjoy 10% off your first order.